You know I love looking at insects in the garden, and that I especially love finding immature ones -- tiny copies of their parents or looking completely different from their adult form, it's always fun to discover the youngsters. It can be difficult though, as on top of their smaller size a propensity to hide keeps them from my eyes. Once they reach mature size and begin the hunt for a mate though, it's a different story. What I couldn't see when actively hunting just a few inches from them when younger, I now can see from across the garden. 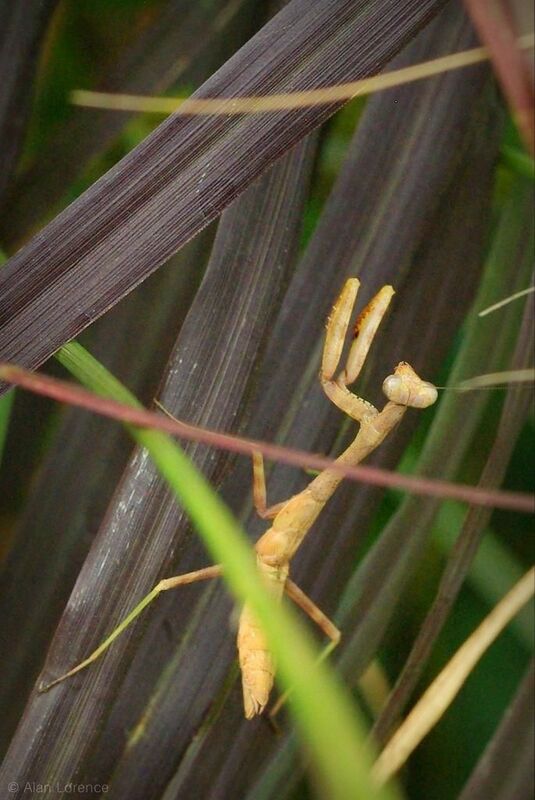 Take my first example here, a manits (Carolina mantis?). I saw it from my office window, probably twelve feet (3.6m) away. ...but pick one that's the right color -- dark purple will not hide you! In the next few weeks these will actually become more conspicuous, as I'll see them flying around the garden. 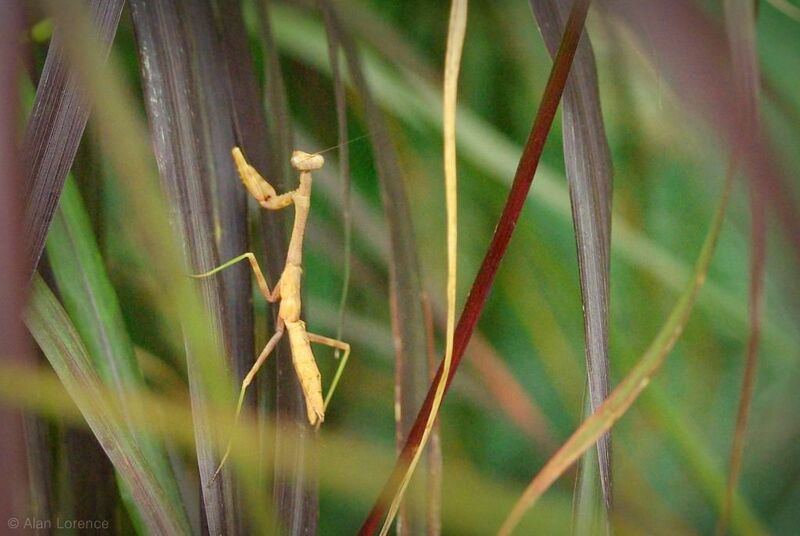 Even from 30-40' (9-10m) away or more the flight of a fully-grown mantis is pretty easy to notice and identify. I say "in my garden" but really I should say "above my garden" because these insects live in the trees -- as you might imagine from their names (and their appearance of course). 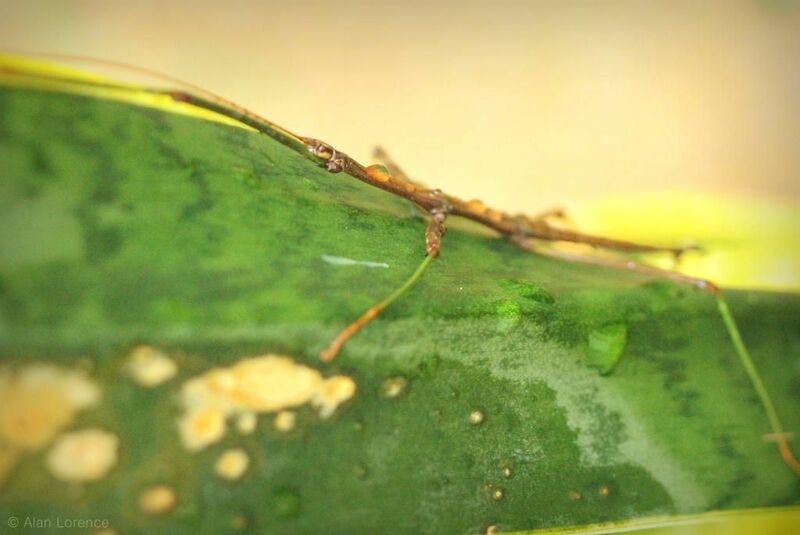 As the summer gets older though, it's often possible to find these mature stick bugs closer to the ground: on the house, or on a plant in the garden. 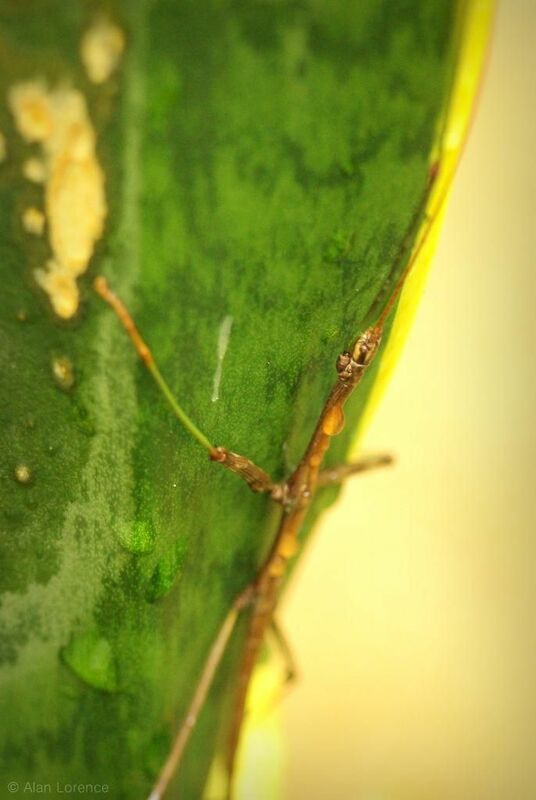 In this case I found this guy on a Sansevieria that I had just moved outdoors the day before, to soak up some of the rain that was falling. I wonder if the rain knocked him (?) 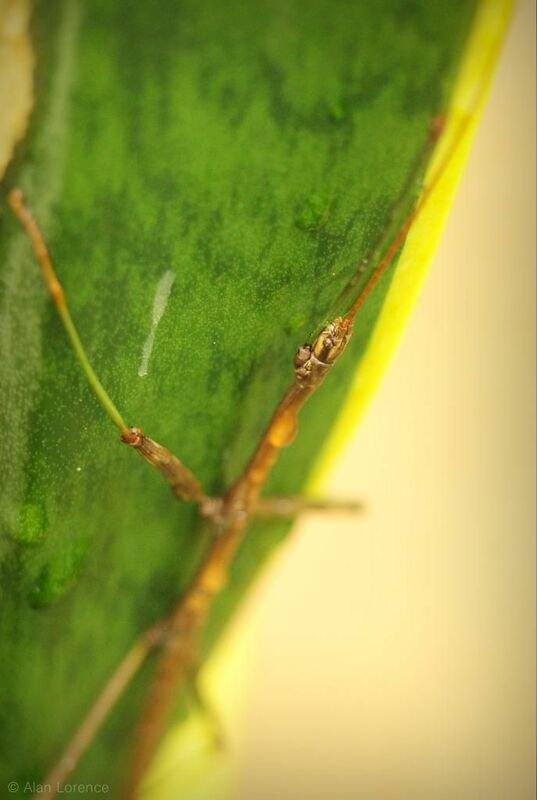 out of the tree, or if it's just the time of year for the walking sticks to earn the first part of their name? Perhaps there are mating battles going on overhead, where the loser of the conflict gets flipped off the branch, falling gently to join us on the ground? Maybe they just fall off sometimes? 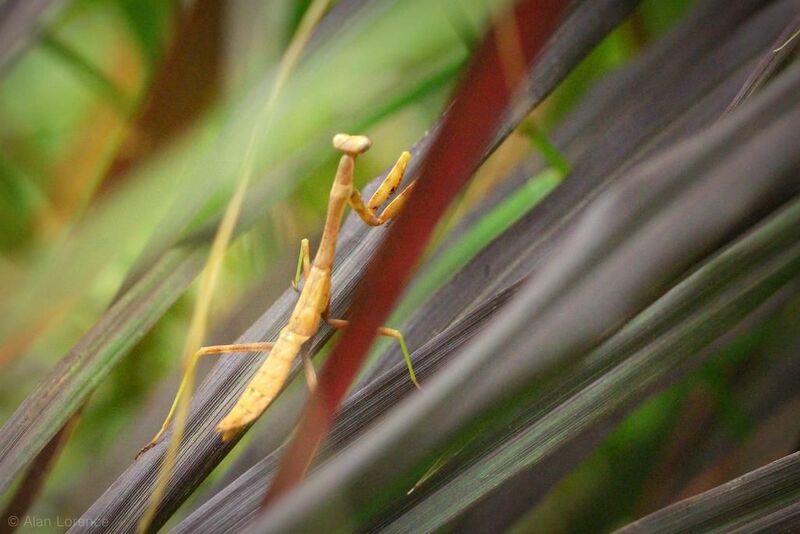 I'm always excited to find one of these, as they're more difficult to spot than the mantises are. I might see one each year -- last year I remember seeing one but in the 60 seconds that it took for me to go grab the camera it had disappeared. I think that if this guy is still out there this morning I will move him back to a tree trunk to give him a chance to climb back up. There's so much going on in the garden that we don't always notice! 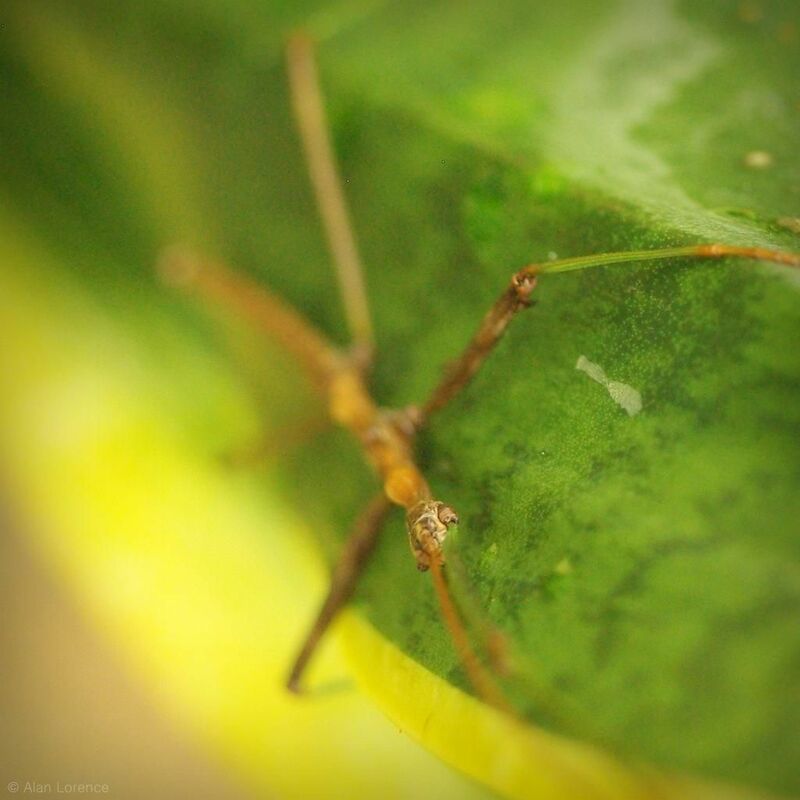 You've got cool bugs in your garden! 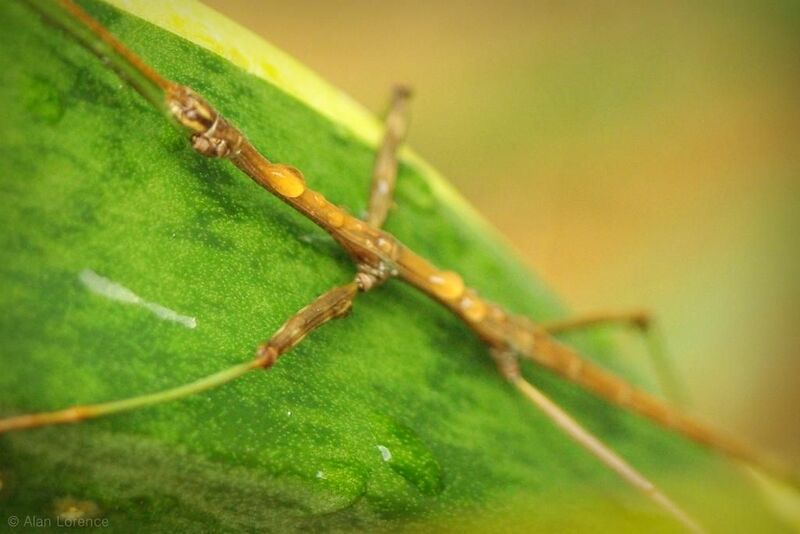 Some classrooms at my school keep Walking Sticks (the Indian variety, Carausius morosus) as pets and they are fascinating. 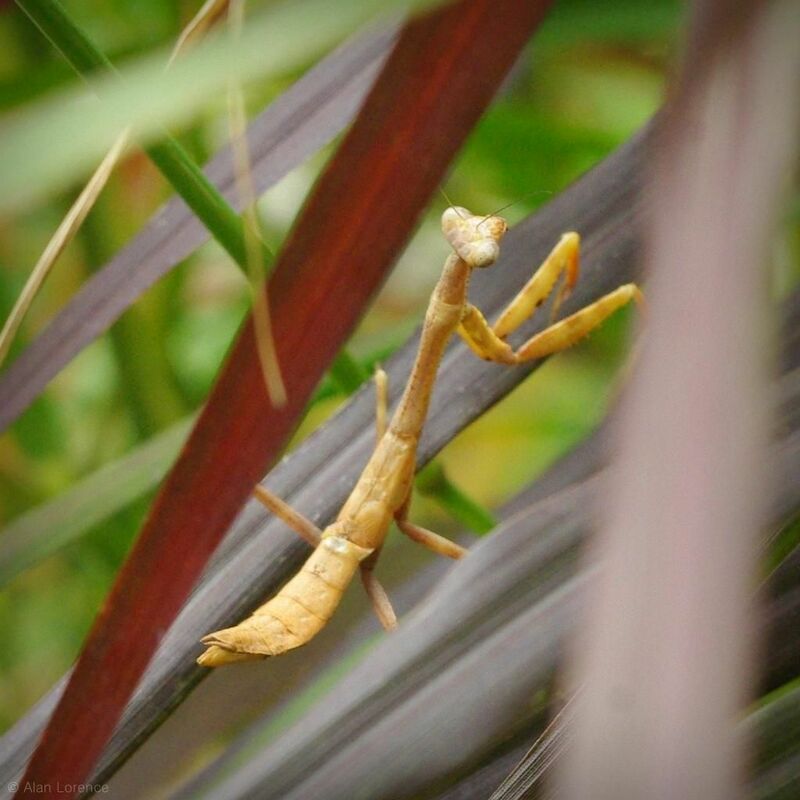 Your mantis is beautiful! 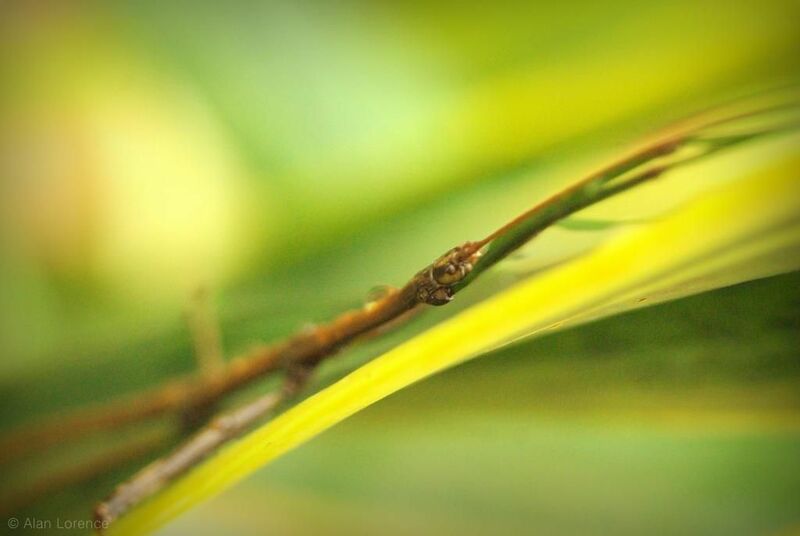 Moments when their camouflage aren't working to their favour are the moments to photograph them, great timing and you certainly have lots of cool bugs in your garden!